In parallel to international discussion, many regional initiatives on the issue of loss and damge due to climate change are emerging. One of them is a research project led by the Oscar M Lopez center Philippines. 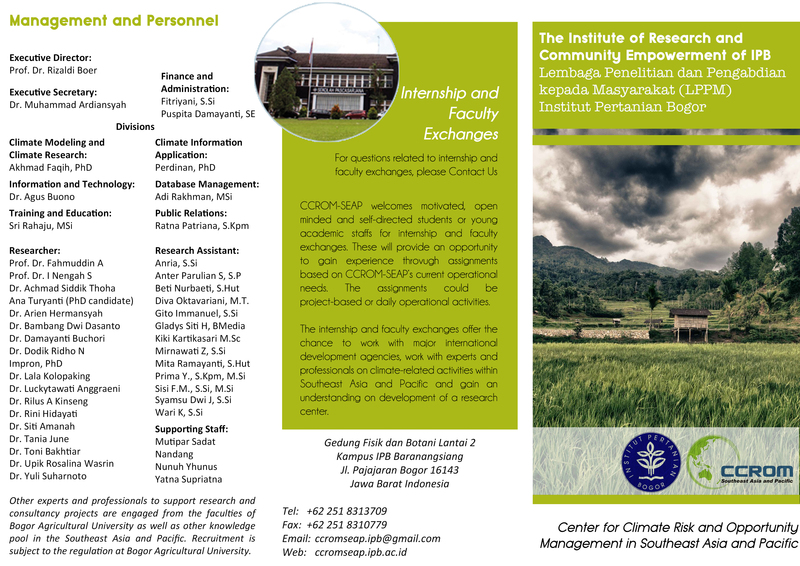 Funded by the Asia Pacific Network for Global Change Research (APN) the project is collaborating with partners from Indonesia, Thailand, Vietnam and Philippines for assessing the linkage between climate change adaptations (CCA), disaster risk reduction (DRR) and loss and damage (L&D). 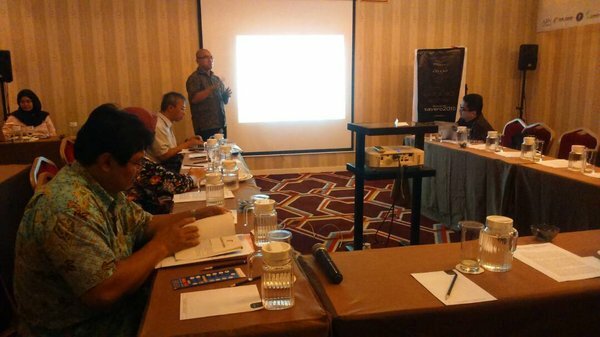 The project has been reviewing existing frameworks for assessment of L&D due to climate related disasters. The project also aims to develop a robust framework at regional level for linking CCA, DRR and L&D. The project was started in 2015. CCROM IPB is engaged as Indonesian partner for this project. 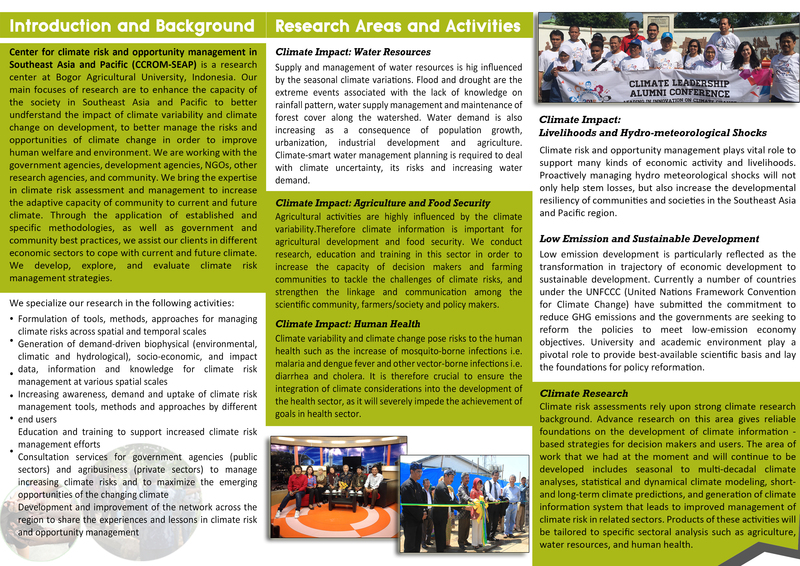 Outputs of the project have been communicated to Indonesia audience through Indonesia Climate Week in 2015 and 2016. Moving forward, it is also necessary to communicate the proposed framework to local governments as currently provincial adaptation actions are in the process for integration into medium term development plans. Proposed framework also has a major concern on role of Strategic Environmental Assessment (Kajian Lingkungan Hidup Strategis – KLHS) mandated by regulation No. 46/2016 for justification of L&D issue in Indonesia. Therefore CCROM conducted mini workshop as a final event conducted under the project to communicate the framework with provincial governments who currently are working on development of action plan for climate change adaptation and/or mitigation.